In this prophetic collection of essays, Michael Waters comments on current issues from his perspective as pastor, husband, father, and expert on hip-hop culture. Waters seeks to inspire hope in people who live in urban centers and in those who provide relief and minister with this context, where it often seems that hope is bankrupt. 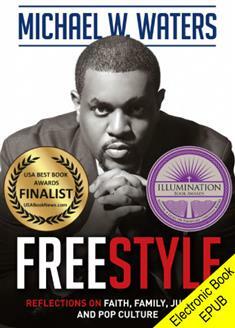 Freestyle seeks to restore Christian hope by pointing to the presence of God at work within these communities. Author Romal Tune calls Michael Waters "provocative and prophetic," saying he provides a fresh perspective on issues that impact our communities, families, and the future of our country. Don't miss this insightful book from a noted pastor, professor, motivational speaker, and community organizer who inspires us all with a message of hope and empowerment.